I am a gardener who was forced to be inactive for an entire summer a few years ago because of an injury. So, since I could not perform the usual chores of gardening, I took advantage of this hiatus to recapture my love of gardening by re-reading some of my many gardening books and following some lovely garden blogs, as well as teaching myself to blog on WordPress. I love to visit botanical gardens and historic gardens, and I have been privileged in being able to travel to quite a few. I am also lucky to have a tolerant spouse who (usually) ignores the overflowing bookshelves. I garden in the South of the United States, Zone 7, though I am not a native Southerner. The climate is hot and humid during the summer, but very moderate for most of the year, including in the winter with occasional freezes and, rarely, snow. We get daffodils in bloom as early as January and as late as the end of April, and that makes me very happy. We have pansies that start blooming in the fall and go through the winter and well into the spring. I also blog about non-gardening matters (mostly fragrance these days) at Serenity Now. 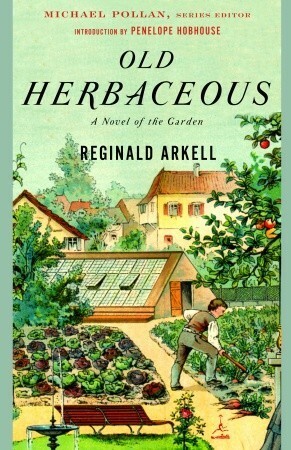 One of my favorite books about gardening is “Old Herbaceous”, by Reginald Arkell, which is why I named this blog after it. I first read it when I was twelve years old. The story of a shy child who loves plants and flowers, and makes them his vocation throughout a long life, spoke to me then and still speaks to me now.